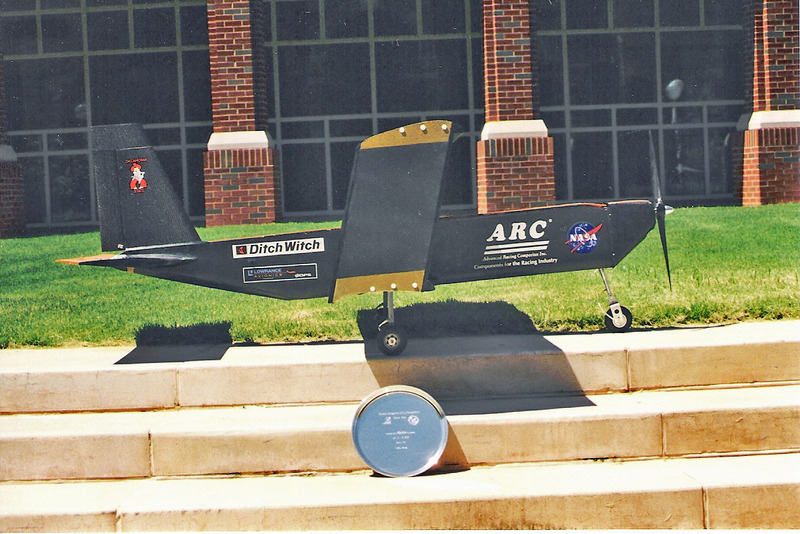 The Flight Factory aircraft is an all composite, box wing design that was designed to compete in the 1999/2000 AIAA/Cessna/ONR Design/Build/Fly contest held in Wichita, KS in April of 2000. The objective was to fly a mission consisting of alternating sorties: a short field cargo sortie where the aircraft carried water in 1L containers, and a ferry sortie in which the aircraft flew 2 empty laps. Flight score depended entirely upon the amount of water carried, which could be done in multiple sorties. Aircraft were subject to several design constraints such as runway length, wing span, battery type and size, motor type, etc. The Flight Factory team finished in 2nd place overall at the contest. And had the distinction of lifting the largest amount of cargo in any one mission. Takeoff distance at full gross weight: 100 ft. The 2000 DBF contest traded off heavy lift capability, with long range cruise. For each mission, the aircraft had to fly a short field cargo mission by carrying as many 1L bottles of water as possible. Then the aircraft had to perform an empty sortie of 2 laps. 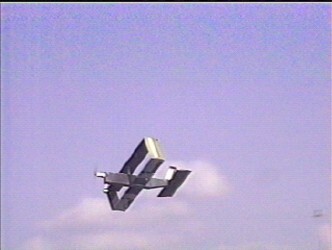 The aircraft could repeat this process until time or fuel ran out. Overall score was written report score, times the amount of water carried in three missions, divided by RAC. RAC was a "Rated Aircraft Cost" which penalized many aspects of the design. It included penalties for design parameters such as; aircraft empty weight, engine power, wing area, etc. A link to the complete rules may be found below. Two of the most significant challenges of the mission requirements were the short 100 ft. takeoff and the 7 ft. wingspan limit. 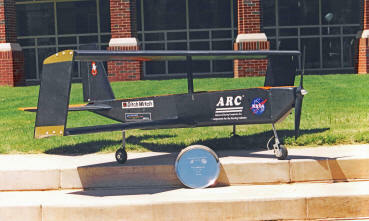 The box wing aircraft was a result of the trade studies accomplished during the design phase. The Flight Factory aircraft was able to lift the largest amount of water for a single mission, of any aircraft in the contest: 16 Liters. 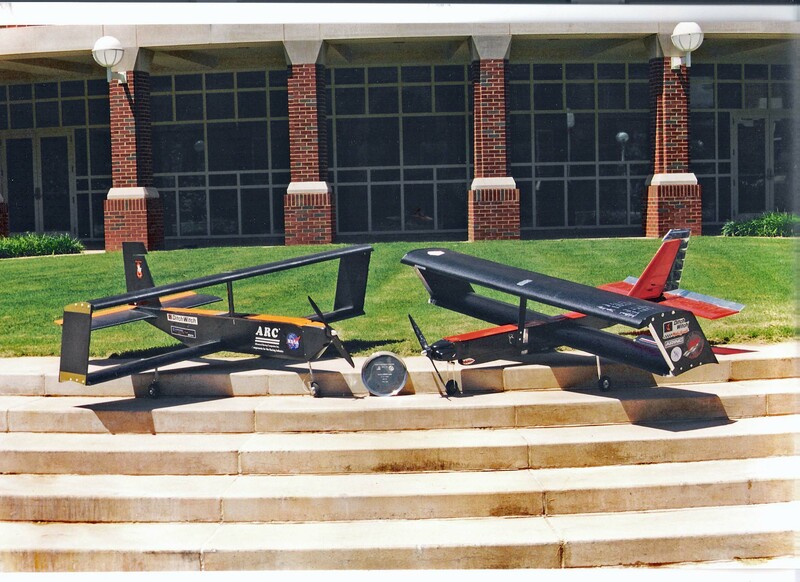 When the top three flight scores were added, Flight Factory tied for first place in flight score, however dropped to second place overall due to report score and RAC. The following sponsors contributed to the project. The Flight Factory team greatly appreciates their support, and considers them members of our team. Without their support, the project would not have been possible. 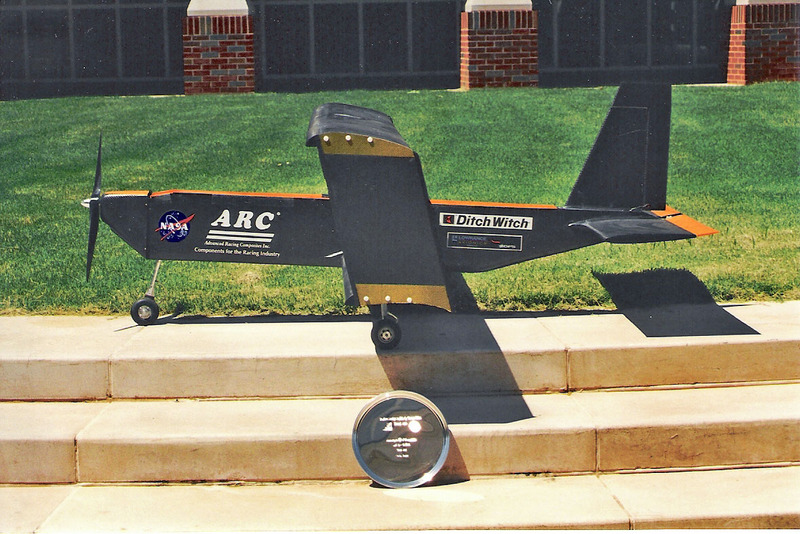 Aerospace Design: 2000 Team Black "Flight Factory"